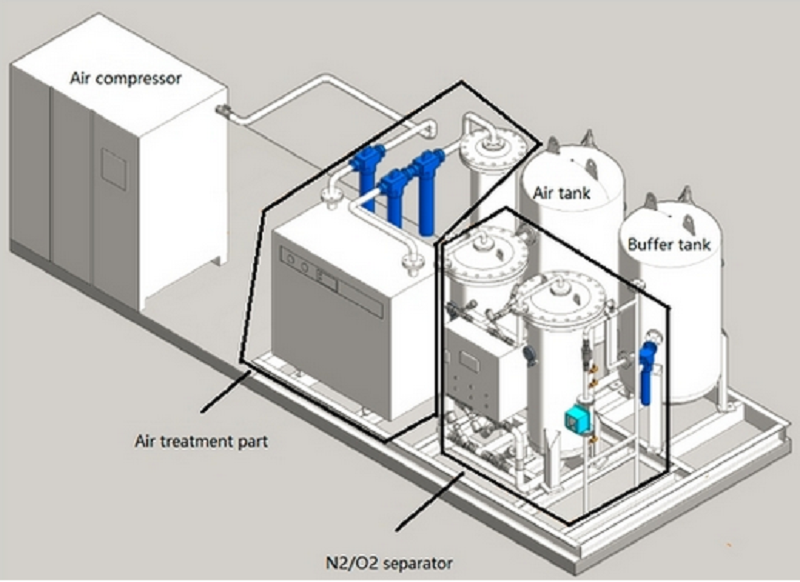 Low Noise Intelligent Normal Pressure Nitrogen Gas Plant is one kind of machine to get nitrogen from Air. Its process is that because oxygen and nitrogen have different diffusion rate and adsorptive capacity on carbon molecular sieve(CMS). When air enters in pressure-swing adsorption tower, which is filled with the carbon molecular sieve, the oxygen is adsorbed in carbon molecular sieve under pressure. Non-adsorbed nitrogen is discharged from outlet of adsorption tower, in this way, nitrogen is collected as product gas. All systems are designed for Energy-Efficiency, with Gamma technologies, the operation power consumption of Gamma nitrogen gas plant is 10-30% lower than other companies. The skid design and Instrumentation makes the plant size very compact, it is fully tested before leaving factory. Start-up time is about 30 minutes to get desired nitrogen purity. Looking for ideal Low Noise Nitrogen Gas Plant Manufacturer & supplier ? We have a wide selection at great prices to help you get creative. 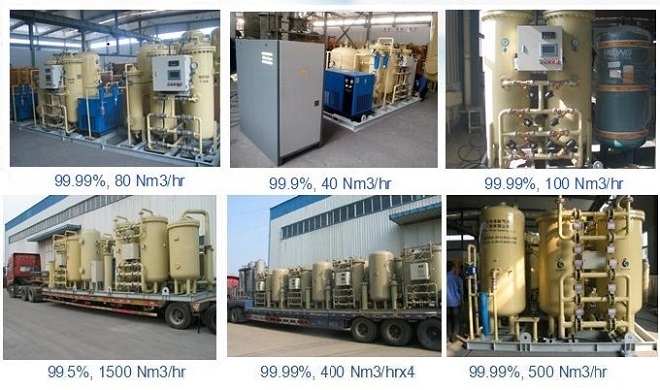 All the Intelligent Nitrogen Gas Plant are quality guaranteed. We are China Origin Factory of Normal Pressure Nitrogen Gas Plant. If you have any question, please feel free to contact us.